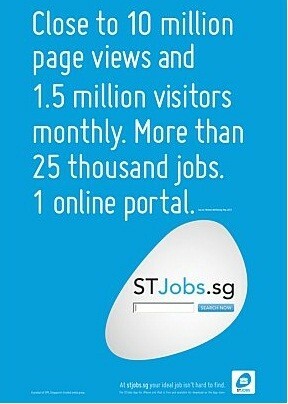 SINGAPORE Press Holdings (SPH) yesterday launched a revamp of its classifieds website, ST701Jobs. Re-named STJobs, the new portal is an updated version of a free classifieds service that lets users search for jobs or put up job listings online. STJobs is the first in a series of revamped classifieds websites to be launched in succession. This heartening result tells us that we are meeting our users' expectations of a truly effective and useful job site. Coming up next will be sites for property, vehicles, and general listings. Currently, these sites can be found under ST701, SPH's all-inclusive classifieds website. The new job-search classifieds includes some new features, including search tabs categorised by executive, finance, and temporary or part-time jobs. It will also be accessible through multiple platforms, including the iPhone, iPad, and Android smartphones. Another new feature is the website's 'Resume Scan' function. After users upload their resumes, a 'scanner' reviews the documents and inputs the data into pre-formatted fields. Facebook users can also log in to the site without creating a separate personal account. Mr Johnson Goh, who heads SPH's online classifieds business, said that since its soft launch in March, STJobs had garnered close to 10 million page views and 1.5 million visitors monthly. This is triple the traffic of its predecessor. ST701 was first launched in 2006 as a job portal, before it expanded to include other classifieds listings a year later.